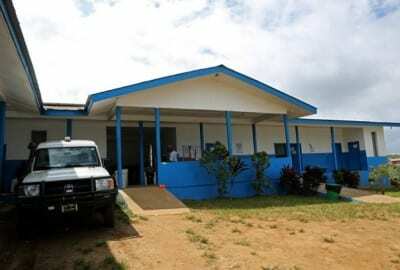 New Pleebo Health Centre in Pleebo, Liberia, on Sept. 24, 2015. When the Ebola epidemic in Liberia began to wind down a year ago, the journalists folded their notebooks, the aid workers helicoptered off for other emergencies, and Partners In Health staff got busy. In a small district surrounded by rubber tree forest, they started renovating “New Pleebo,” a nine-bed public health centre that was our first major infrastructure project in Liberia. The need for New Pleebo wouldn’t surprise anyone familiar with the country. Tuberculosis spreads quickly. Pneumonia kills scores of children. Roughly 1 in 100 pregnant women die during childbirth. 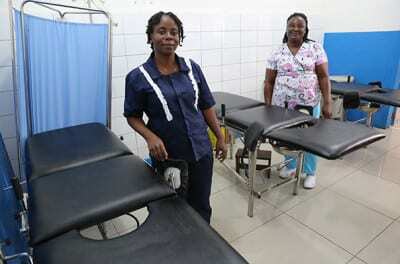 The list of illnesses and ailments that could be cured at modern health centres goes on and on. 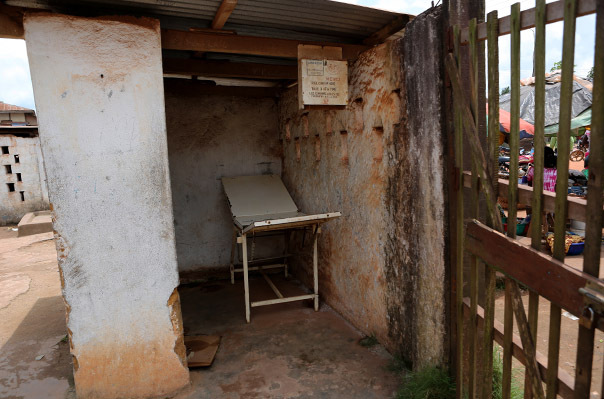 “The health care system is still, by most measures, weak, in spite of the massive influx of funding to control Ebola transmission, as much of the funding went into emergency, temporary structures,” wrote PIH Liberia Policy and Partnerships Director Cate Oswald recently. For 50,000 people living in the far southeast of the country, the original health centre, now dubbed “Old Pleebo,” hardly sufficed. A narrow hallway encircled a couple of moldy, windowless consultation rooms. Rainwater poured down through the collapsing corrugated-metal roof and onto the single labor and delivery bed. Like many buildings in the district, the clinic lacked reliable electricity. Part of the old Pleebo Health Centre. Staff predicted a chaotic July 1 opening, and how right they were. Registrars welcomed patients from 7 a.m. to 3 p.m. Clinicians treated emergencies around the clock. In the first month, they saw 2,019 people. Despite the fact that few pregnant women had visited a clinic in the previous months, roughly 50 ended up delivering (safely) in New Pleebo that month. in the new labor and delivery area of New Pleebo. Many more came for prenatal visits. But if New Pleebo was a victim of its own success, if it was flooded with eager patients, it was also a powerful symbol of PIH’s unique commitment to Liberia. PIH didn’t just try to quash Ebola. We are dedicated to helping the government create a great health care system, the one that Liberia deserves, over decades to come. PIH has already begun improving New Pleebo. Last month, staff were able to deliver 89 babies, almost twice as many as originally. This month, PIH County Director for Maryland County Patrick Ulysse takes another step forward, creating a sort of fast-pass lane for pregnant women and children under 5. They will soon enter through a separate gate, meet a dedicated registrar, and maybe even consult their own lab technician, if necessary.